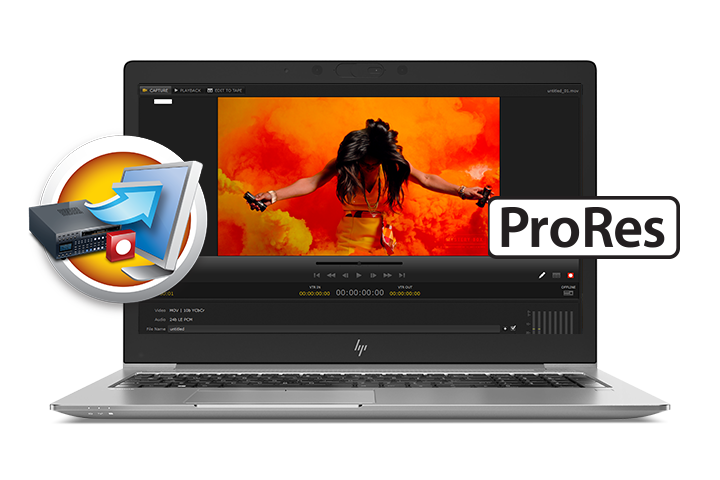 As more and more editorial, graphics, vfx and color work is being done on set and in the field, the ability to run full-featured software on laptop computers along with compact video and audio I/O solutions has rapidly increased. AJA Io products answer that call by providing desktop-level functionality in a portable form factor that's powerful enough to deliver in the edit suite, and sturdy enough to handle life in the field. 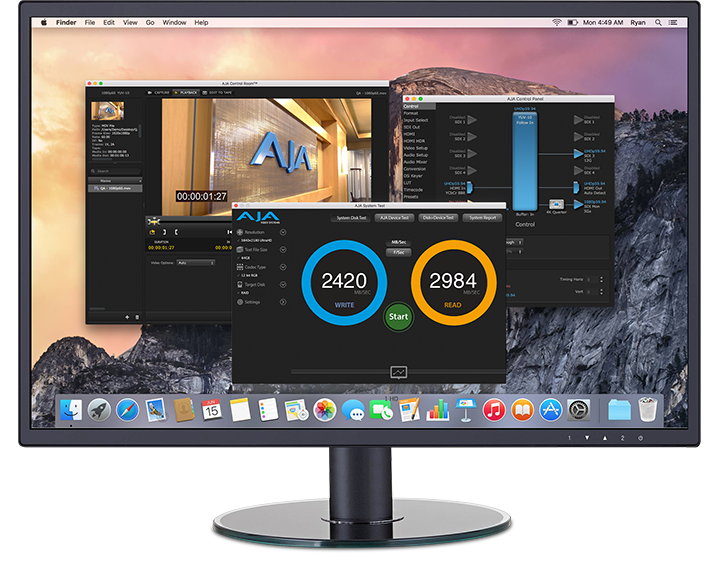 AJA offers solutions encompassing Thunderbolt™ standards all the way up to Thunderbolt 3 with 12G-SDI and HDMI v2.0, as well as mobile USB 3 and PCIe devices. Despite their small footprints, Io, T-TAP and U-TAP products are packed with comprehensive I/O options depending on model; including 12G-SDI, 3G-SDI, 10 GigE, HDMI 2.0, S-video, remote control and audio connectivity. Whatever connectivity your workflow demands, there's an AJA mobile product to meet your needs. AJA products are widely supported across the industry by leading third party software and solution vendors. AJA also provides industry-best application plug-ins and OS drivers. To confirm compatibility* for your product, visit our handy charts for the latest information. AJA’s free Desktop Software for KONA and Io devices includes AJA Control Panel, a powerful and elegant interface for interfacing with your chosen hardware. Control Panel provides an easy to understand visual showing how the KONA or Io hardware is currently configured and allows you to make changes. 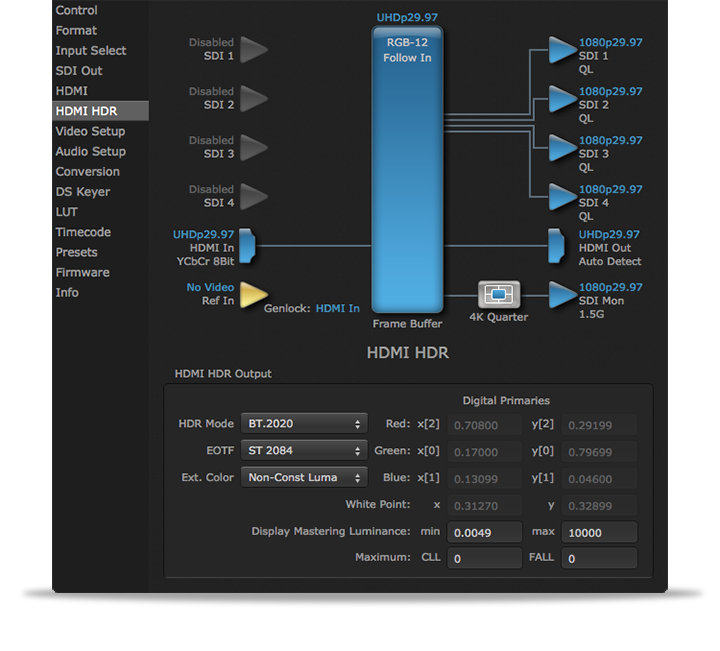 You can change signal input and output parameters and define the video processing that will be performed. The AJA software installer automatically installs the Control Panel application on your computer and once opened AJA Control Panel recognizes the connected hardware and provides configuration and settings options appropriate to it’s capabilities.